Last Friday, Barnes & Noble (tagline: We still sell books!) 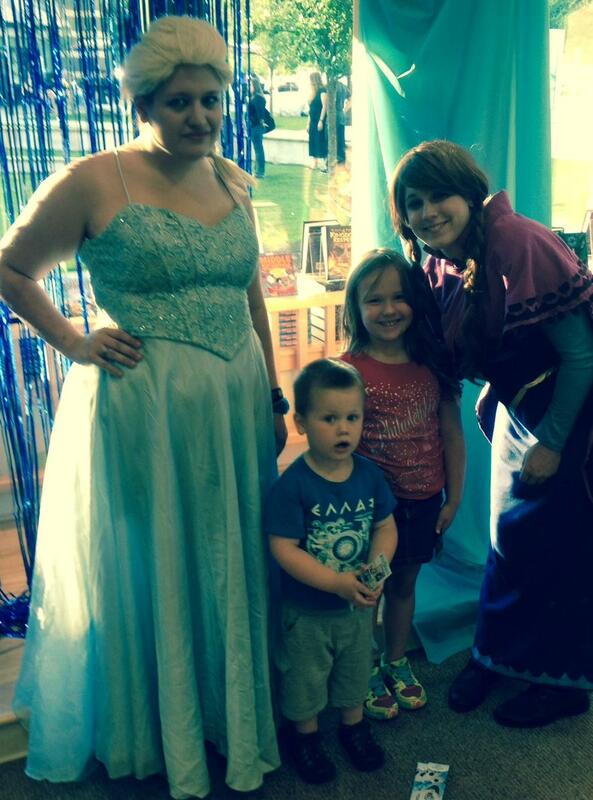 hosted a nationwide “Cool off with Olaf” event that was centered around the characters and songs in Disney’s Frozen. We went because someone in our house (not me) is a major Frozen fan. There was minor disappointment in Bowling Green as the crowd (parents & kids) figured out that there was no Olaf character. Rather, it was a cardboard cutout that you could take your picture with. Actually, aside from the fact the 7pm event started at 7:15, it was still a decent time with singalongs, stories, craft, etc. But as life teaches you, no matter how bad you think you have it, someone else has it worse. The inter-webs are alive with this week with this picture from someone who waited in line for two hours at another Barnes and Noble to meet Elsa and Anna. Yikes. What’s the lesson? If you’re going to do something, do it right. Many events I attend are poorly put together and you can tell there was little planning and no common sense. On a larger scale, businesses are now trying to talk to a savvy-CGI-iPad-polished media consumer — from the old folks right down to toddlers. On one hand, it’s sad that we’ve lost some of the suspension of disbelief that made things like this fun. On the other, the old Willard Scott Ronald McDonald doesn’t cut it in a promoted event. It has to look slick and produced or many times it just won’t work. If you can’t do it to the level it needs to be done, step back and rework it on a level you can.